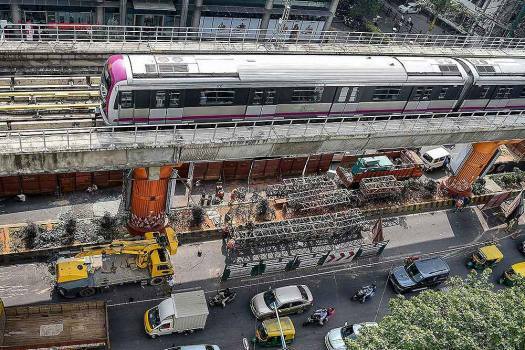 A metro train runs on the elevated corridor, as work to fix the damaged pillar underneath is in progress, in Bengaluru. 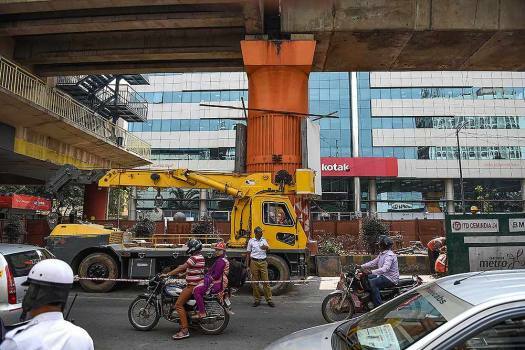 A policeman manages the traffic near the damaged metro pillar where repair work is in progress, in Bengaluru. 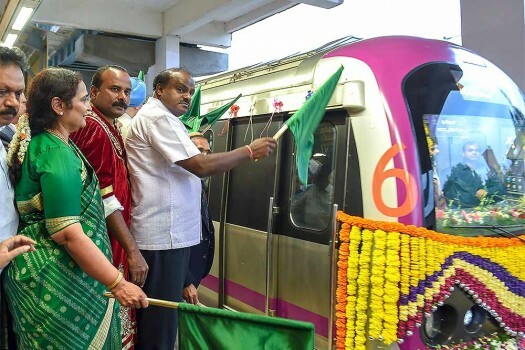 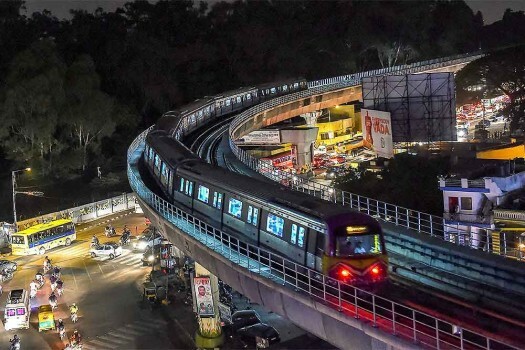 A six-coach Namma Metro runs on a track after its inauguration by Karnataka Chief Minister H D Kumaraswamy from Baiyappanahalli to Mysore road Metro station, in Bengaluru. 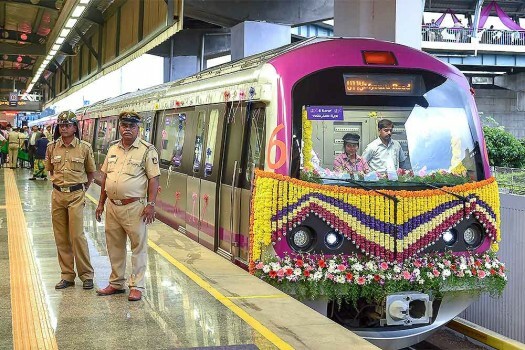 Security officials stand guard on the platform during the inauguration of a six-coach Namma Metro from Baiyappanahalli to Mysore road Metro station, in Bengaluru.